We allow you to focus your energy where is it most needed in order to help create stronger families. Adopt4Life—Ontario’s Adoptive Parent Association, is a community of people with lived experience of adoption, that strengthens and empowers parents to achieve permanency for children so that they reach their full potential. We believe that all adoptive, kin, and customary care parents have a right to advocacy, support and guidance throughout their lifelong journey. In our ongoing advocacy for expanded Parental Leave Employment Insurance Benefits for adoptive parents, kinship and customary caregivers, Adopt4Life—Ontario’s Adoptive Parents Association and the Adoption Council of Canada are seeking blogs from parents or caregivers across the country. The blogs would highlight your thoughts and hopes about an additional category of EI benefits called “attachment benefits,” which would give children more #TimeToAttach. We are working collaboratively on this initiative with a team of researchers from Western University. They had been neglected, witnessed domestic violence and possibly been abused. They showed many signs of being traumatized. By belonging to this community and helping out with events, I have formed solid and irreplaceable friendships with women and men who truly understand our unique parenthood journey. Recognizing Adoption Awareness Month and Adopt4Life’s Partnership with MCCSS. Read the full letter in PDF format here. Children who have experienced trauma and loss at an early age are greatly at risk for the effects and impacts of Developmental Trauma. During the month of November starting next week, please join Adopt4Life as we share resources, articles, and blogs to develop a greater understanding of trauma’s affect on children and their parents/caregivers. We are #StrongerTogether. 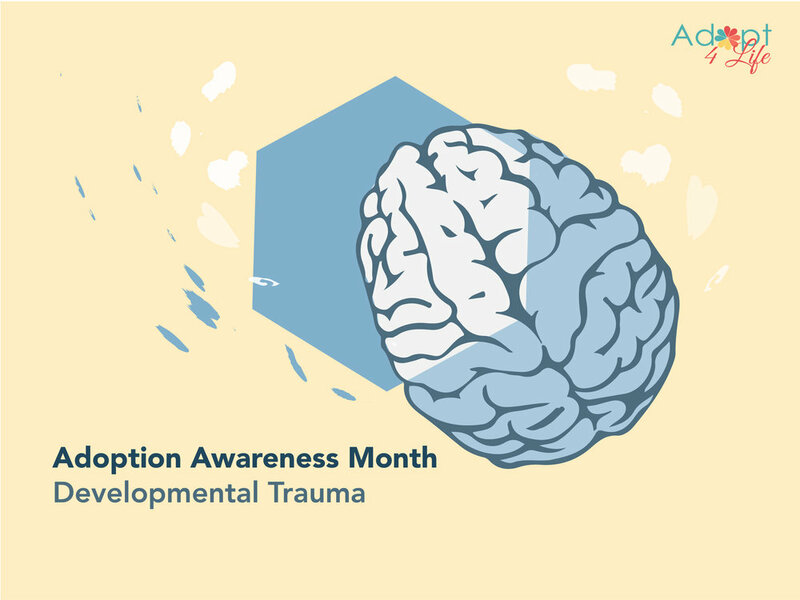 Developmental Trauma (DT) can lead to profound brain and body changes that put people at risk over time. The brain and body change in order to adapt to the stress that a person is living and experiencing. At the time, it is the brain and body’s way of responding and surviving—through adaptations—the adverse stressful experiences. Our recorded webinars are now archived, available for viewing on our Youtube Channel, with the exception of some exclusive webinars that need a request to access.